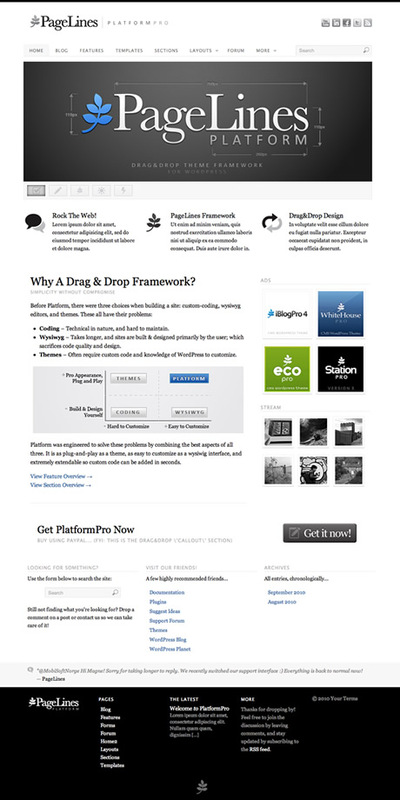 Platform is an drag-and-drop theme-design framework for WordPress and HTML5. 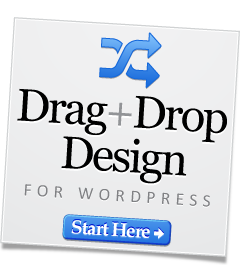 It will help you do amazing things with your site, faster & easier than ever before. Designed and developed by PageLines in California. While they offer this free version, there is a premium version which can be found here that is simply amazing (it integrates with bbPress and BuddyPress, for instance, plus has a TON of other useful features as well). Come back and check out the showcase as we find more sites from around the web using Platform PRO.